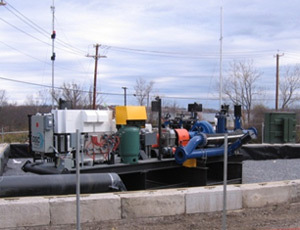 Green electric booster pumps will provide power to help transport material from the lake to the consolidation area. The Shrub Willow Farm in Camillus generates renewable energy and provides an effective vegetative cover. 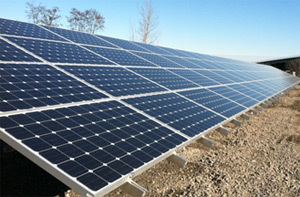 Two-hundred photovoltaic (PV) solar panels will provide electric power to operate the Camillus Pump Station. 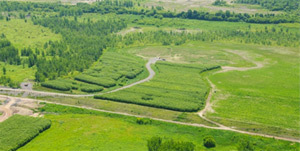 Green practices such as the use of biofuels, recycled materials, and other sustainable solutions are key elements of Honeywell’s Onondaga Lake remediation strategy. B20 biodiesel fuel will replace about two million gallons of standard diesel fuel. Green electric booster pumps and hydraulic dredging will help reduce greenhouse gas (GHG) emissions by the equivalent of removing 12,700 cars from the highway for one year. Recycled water will reduce use of water that could be used for drinking by approximately 780 million gallons. A proposed alternative vegetative cover system for the Honeywell property off Airport Road would significantly reduce GHG emissions. Honeywell Wind Turbines by WindTronics will provide supplemental renewable energy. Solar panels will provide 30 percent of electric power for Honeywell’s Pump Station in Camillus and 100 percent renewable power for air monitoring equipment.